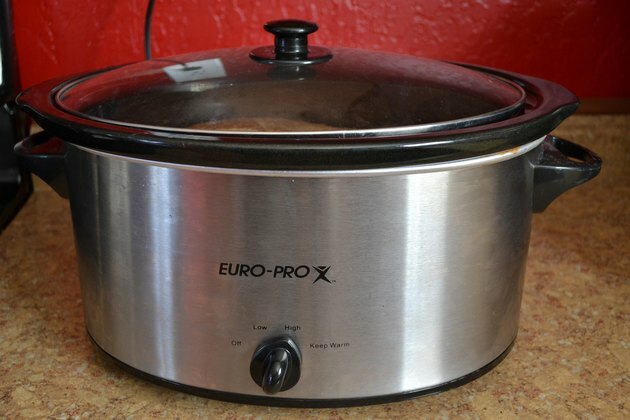 A slow cooker is a convenient way to cook a beef roast. You put all the ingredients in the cooker and the roast cooks all day while you do other things. 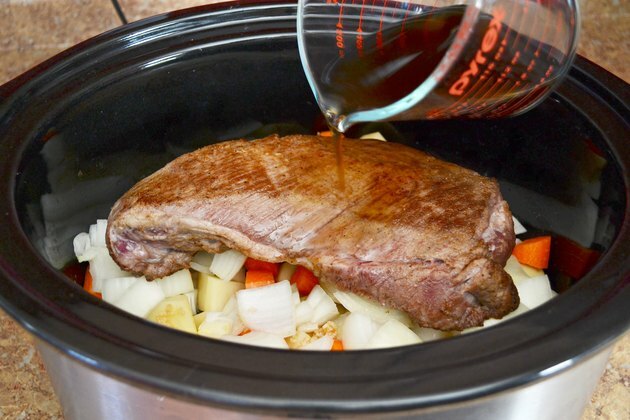 The long, slow cooking time tenderizes tougher cuts of meat, allowing you to enjoy leaner, less-expensive roasts such as the chuck or shoulder. These cuts contain more lean protein and less fat. A 3-pound roast will yield about eight 3-ounce servings of roast to feed a large family or to provide leftovers for sandwiches and future meals. Heat cooking oil in a large skillet. 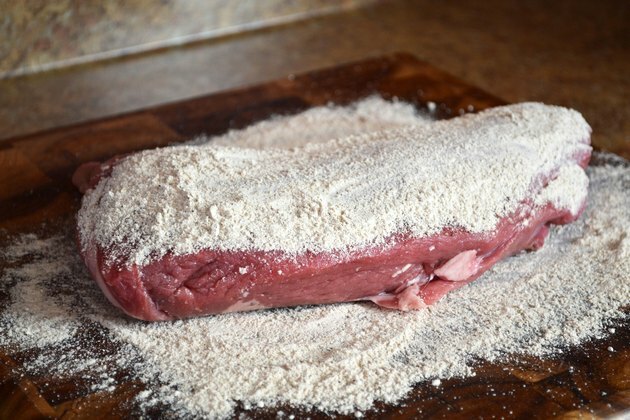 Combine flour, salt and pepper and sprinkle on all sides of the roast. Brown the roast in the hot oil, turning every few minutes until all sides are browned. Browning the meat this way helps intensify the flavor of the meat. Wash and peel the potatoes and carrots. Cut into 1-inch cubes and place in the bottom of the slow cooker, along with the onion and garlic. 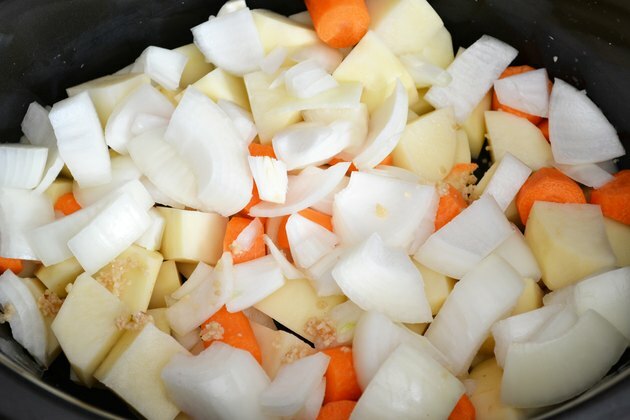 According to Rival Manufacturing, makers of slow cookers, vegetables cook slower than meats in slow cookers, so they need to be closer to the heat source, around the bottom and sides of the cooker. Turn the cooker to high. 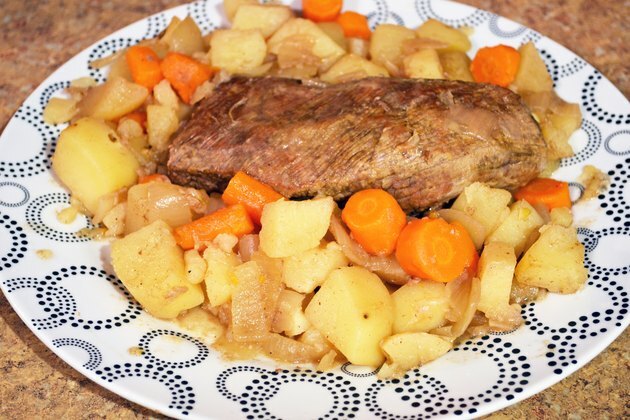 Place the roast on top of the vegetables in the slow cooker. Pour water, broth or wine over the roast. Sprinkle with fresh herbs. 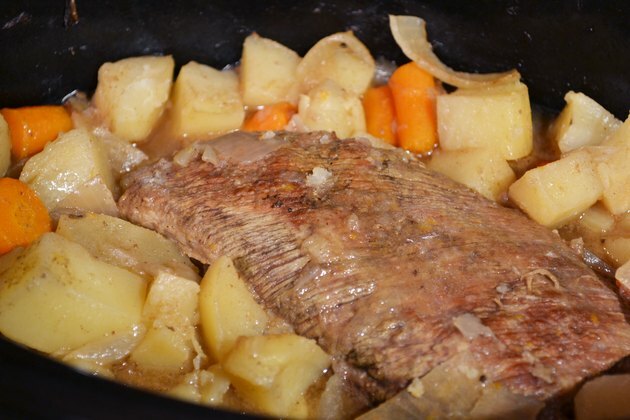 Place the lid on the slow cooker and cook for 30 minutes on high. Turn heat to low and cook for another eight hours. 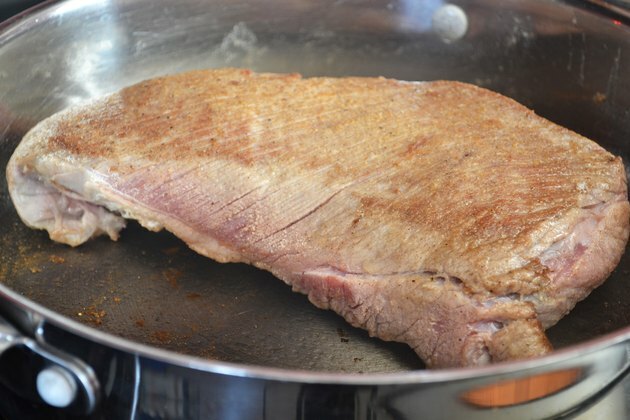 Remove roast to a platter and allow it to sit for 10 minutes before carving. If desired, add 1 cup frozen green peas during the last 30 minutes of cooking.